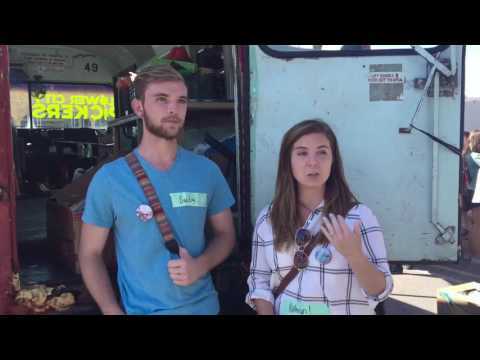 On Campus Service Projects are open to the entire RIT community. 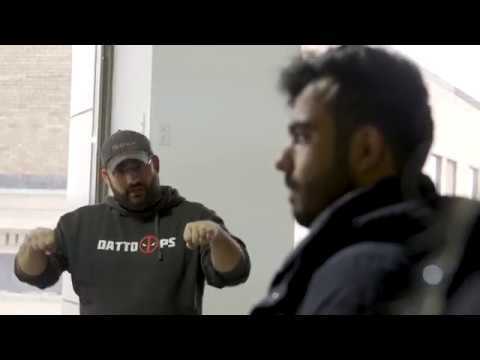 They are hosted in collaboration with local and national non-profit organizations and are designed to meet the needs of the organizations and to support the greater-Rochester community. Giving Tuesday is traditionally held on the Tuesday following Black Friday and Cyber Monday and encourages people to volunteer and give back to their communities. At RIT, we celebrate Giving Tuesday by coming together as a community to prepare thousands of meals for the Rochester community in partnership with Feeding Children Everywhere. In 2018, 50,688 healthy meals were packaged: 7,500 boxed meals were donated to RIT's FoodShare program directly benefiting members of the RIT community. The additional 42,500+ meals were donated to Foodlink in Rochester which will distribute them to agencies operating food pantries and soup kitchens in a 10-county area. 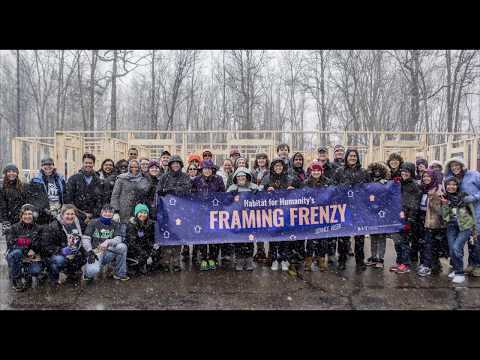 Framing Frenzy is held each Spring semester as part of RIT's Service Week. 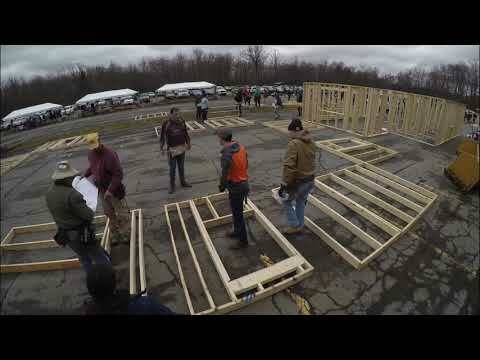 RIT partners with Flower City Habitat for Humanity to host the Framing Frenzy. Hundreds of RIT students, faculty, and staff work together to build frames for two houses during this day-long on-campus event. Once the frames are constructed, they are transported to Habitat build sites in the Rochester community.